Wanderlust like many other of lifes pursuits comes to an end sometimes gracefully sometimes not. 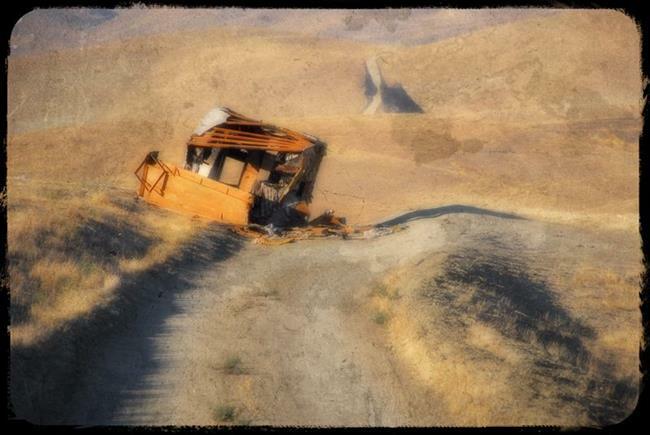 This particular trailer apparently could go no further, whether dropped off here to return to the earth, or it just broke down here, like wanderlust the road itself may continue on but this is the end of this trailers travels and it has come to a less than graceful end. Originally shot with a Nikon D-200 with a Nikkor 18-200 VR lens, 9/07, Orton proccessed with added texture layers.